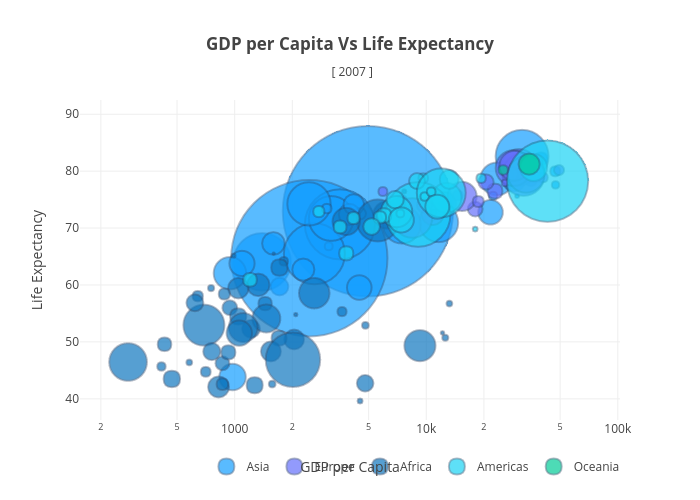 Plotly2_demo's interactive graph and data of "GDP per Capita Vs Life Expectancy [ 2007 ]" is a scatter chart; with GDP per Capita in the x-axis and Life Expectancy in the y-axis.. The x-axis shows values from 2.2412285433181656 to 4.9144327430134975. The y-axis shows values from 36.744651583493145 to 88.12550147918114.